Home › Node › Why Choose East of England for Rheumatology Training? To help cover the wide range of towns, countryside and other non-clinical aspects of living in this deanery, we have broken it down into three areas, as per the rotations. The Western Part of the Deanery boasts an excellent balance of rolling countryside and city facilities. The proximity of the A1M and M1 motorways and Luton airport provide excellent transport links. Most towns having direct trains into St Pancras or Kings Cross, giving easy access into London without the London house prices. I’ve moved to the East of England deanery since 2011. The best thing about it has been the relatively good commutes to multiple hospitals enabling me to remain in one place for several years thanks to help from the training programme directors. Outside of work I regularly play rugby, playing in the North West London league. My recent marathon training has given the opportunity to explore the extensive footpaths and bridleways throughout Herts and Beds. It’s been a great area for families with numerous open farms play groups and soft play to entertain children. Lavender Fields, open to the public in the Summer, in Hitchin, Hertfordshire. 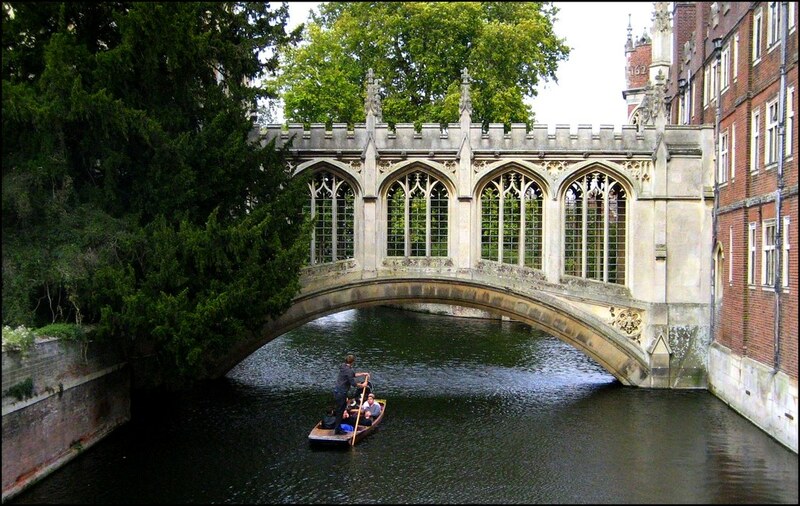 The Bridge of Sighs, part of St. Johns College Cambridge, based on the infamous bridge in Venice. View from top of the Dunstable Downs, Area of Outstanding Natural Beauty, Bedfordshire. The south east region of the Deanery has a good mix of beautiful countryside and beaches balanced with vibrant and historical towns such as Colchester, Chelmsford and Southend. It boasts 4 rotations all of which have good proximity to the A12. This part of the Deanery also has excellent rail links to London via Liverpool Street station. I have lived in this part of the deanery since 2013. I have found it to be a great area to base yourself within the deanery due to the relative close proximity of many of the deanery’s rotations. I enjoy the opportunities it provides to engage in a number of sporting activities such as football and racquet sports and also enjoy going to music gigs and concerts which is possible through the excellent transport links to Norwich, Cambridge and London. It is also a great place to raise a family with a wide variety of family and child friendly attractions, including Colchester Zoo and Castle, Southend Pier and a wide range of country parks. West Mersea, a picturesque secluded beach in Essex which becomes an island at high tide. Dedham Countryside in North Essex, which provided the inspiration for Constable's paintings.